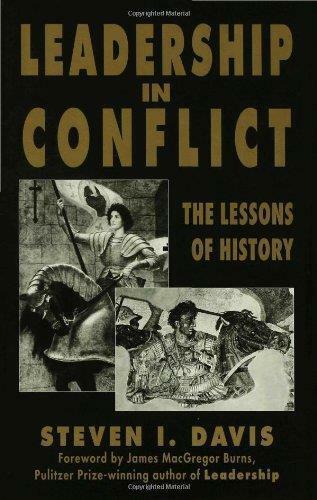 Leadership in Conflict The Lessons of History | Free eBooks Download - EBOOKEE! Today's sustained and violent political conflicts raise the issue of how a single leader can successfully resolve such persistent turmoil. Steven Davis uses a sample of 25 effective leaders drawn from a wide historical universe to determine that the paradigm of effective leadership consists of strong direction, acute sensitivity to followers' needs and sustained energy in pursuing this direction. Finally Mr Davis shows how this historical model is relevant for the use of today's leaders. No comments for "Leadership in Conflict The Lessons of History".